Our main advantage in the rally were the tight, coordinated pit stops. The longest stop with refueling, refreshing the team and washing the windscreen took 2 minutes and 39 seconds. In total there were six gas breaks. 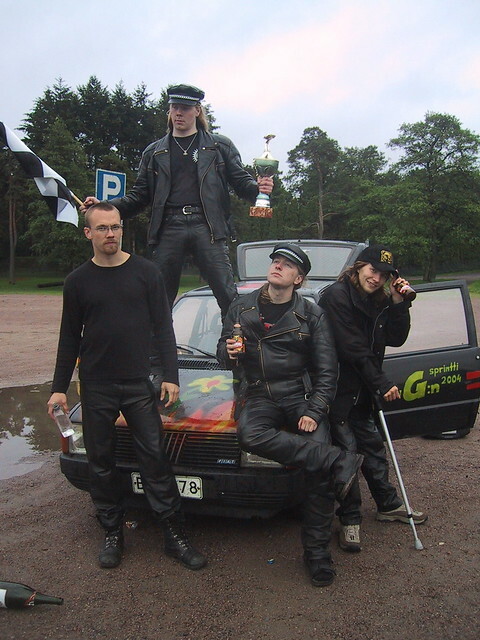 Our black leather team clothes must also have helped in winning. The race was at its best when we had some very tight chase scenes with the Fc Smurffit team. Especially the turning point in Hammerfest was exciting. All cars finished the race successfully, with the last team arriving to finish almost 10 hours behind us. 10 June 2004. 1 minute read.